A2A Simulations started out in 2003 as a one-man operation. Scott Gentile, a private pilot, created Shockwave Productions. Known in the Microsoft Combat Flight Simulator world as Blade124, he created and packaged numerous add-on packs that greatly enhanced the simulation environment and created realistic explosion, fire, and debris effects within the combat environment. The first work taken on by Shockwave Productions was helping indie developer Tsuyoshi Kawahito (TK), who was the lead coder of such classics as European Air War and Apache Longbow, with his new Strike Fighters simulation. Shockwave created a brand-new visual effects suite which was released as Service Pack 1 for Strike Fighters. This suite, at the time, represented the most realistic visual effects available for any flight simulator on the market. Following the effects work, Scott started to bring in new modelers to work on the latest Microsoft Combat Simulator. It was at this early stage where Scott met Robert Rogalski, who joined the company. Rob inspired the team to shoot for a higher standard of excellence, and the result was a product created with pride. Title number three was the highly-regarded, award-winning ‘FirePower’ add-on for CFS3. Adding an entirely new effects suite and aircraft to the game along with all new missions, ‘Firepower’ gave the flight simmer the most authentic damage modeling and visual effects available. FirePOWER received the very highest ratings of any air combat simulator released since. Subsequently, Shockwave productions was offered the opportunity to develop a sequel to Rowan’s Battle of Britain. With the help of talented coder Wolfram Kuss, Shockwave expanded from aircraft, visual effects, and sound to a full scale, standalone air combat game developer. Authentic atmosphere, fluid flight modeling, and a purely dynamic campaign was Battle of Britain II’s claim to fame. Even today, while other flight sims have eclipsed BOB2’s visuals, the Battle of Britain freeware development group (BDG) has continued to improve the title and customers keep coming back. During this time, Shockwave Productions was re-branded as A2A Simulations Inc. following some confusion between the company and a popular online gaming service at the time. In 2008, Accu-Sim was unveiled, which was the culmination of a long time dream to do things in simulators that have not yet been done before. Accu-Sim is 100% A2A-born, and allows the company to develop, without limitations, for itself and other host flight simulation engines. During this time A2A Simulations attracted some of the best talent in the industry from modelers to coders and consultants. Michal Puto now leads the art team, and Robert Sobczak, Krzysztof Sobczak, and Michał Krawczyk joined as coders. Meanwhile, their support system which started out as forums, is now an active community of tens of thousands. Lewis Bloomfield is always ready to help sort any issues and get people flying. The A2A team also includes many pilot developers, and a former Fighter Pilots Association President in the form of Dudley Henriques. Overall, the team’s piloting experience can be counted in the tens, if not hundreds of thousands, of hours in all manner of aircraft from fast jets, to vintage warbirds, GA aircraft and big iron. 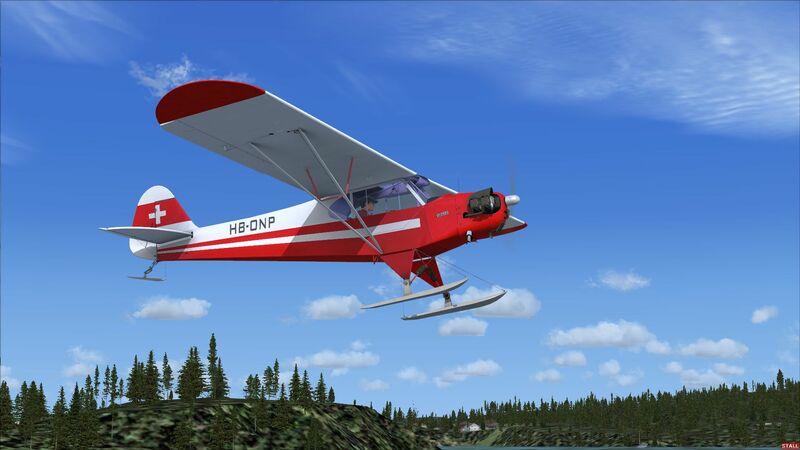 Additionally, A2A has what they consider to be the very finest beta team in the flight simulation business. This insures their software gets to the customer in a well-tested, battle-proven state. Ten years ago on May 13th 2007, the birth of a global force in aviation and flight simulation entertainment occurred….